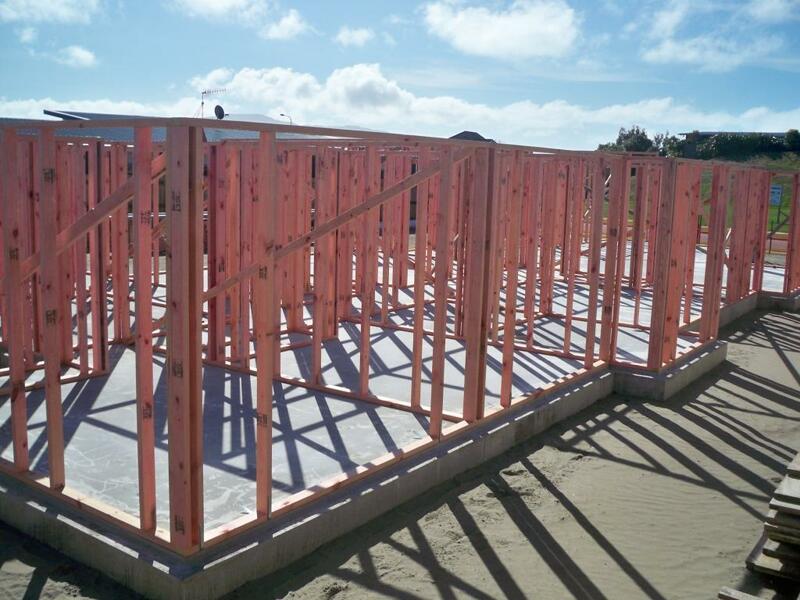 One of the joys of living in a country like New Zealand, as opposed to the UK where I am originally from, is that it is relatively easy and straightforward to build your own home. We did it for the first time 9 years ago and built a beautiful family home that suited our needs perfectly. Our kids have grown up in the house happy and secure, but the eldest recently moved out to go flatting and our tastes have changed a bit in recent years. So we decided to do it all again. From making the decision, putting our house on the market, buying some land, designing the new house, getting consent and starting work took us all of three months. OK, so we know a builder who is building the house for us who has made it all very easy, but you get the point. As our first house took shape, we were lucky enough to find a rental house just around the corner. I would spend hours in the evenings and at weekends on site imagining how everything was going to look, how big each room would be and what sort of life we would have there. By the time it was complete, it felt like I knew every inch of that house, every nail and screw. Leaving it was hard, but not as hard as we thought it would be. We were looking forward, not back. We are now three weeks into our second build and I’m a lot more chilled this time. A quick check on progress once a week and I’m happy. I know in my head exactly what it will look like when it’s finished and the steps that are going to get us there. It’s all in the design and planning. I can’t help thinking that building a house is a little like managing an HR function. You know you are not going to be there for the rest of your life and that you are merely guarding it for the next person. Sometimes you build more onto it, you might change the way it looks every 12 months, and you might knock it down completely and start again. But ultimately you want to pass on something better than you moved into. And sometimes you are lucky enough to build from the ground up and create something that people admire for many years to come, that someone else can take on and make even better. Or you might be the sort of person who does no maintenance and moves out when you know that some major re-building work is required and you don’t have the energy to do it. I’ve had to do a bit of a re-build this year. My two most recent additions are now three months into their jobs and I’m happy. It’s a good structure with solid foundations. This week I am off to Auckland to attend the second annual summit of the New Zealand Association of Graduate Employers. This one has been a more ambitious project, a slower more incremental build that I’ve watched with interest from afar. More Grand Designs than the Block. NZAGE is less than three years old, an ambitious shared vision of many of the key players in the New Zealand graduate recruitment market. Everything is done by volunteers so progress is less tangible and takes the form of longer term plans and small steps. But again, it shows what can be achieved with solid foundations and a vision. We need this sort of body to share and grow the best ideas and practices, because frankly New Zealand’s record with the recruitment and development of our young talent is positively third world. I hope it continues for many years and goes from strength to strength. Similarly, I know that the houses I build will outlast me, as will the organisations I work for in my career and the teams I lead. Nurturing them to be the best you can make them is a hell of a responsibility when you think about it, as is knowing when to let go and pass them on. To build something from the ground up that flourishes and is admired long after we have gone surely has to be the legacy we all want to leave? Good blog! I was waiting to see where you were going with building a new house and relating it to HR! You make a great point about us being only part of the HR journey of an organisation. This has come up in the HR planning workshop that we run. It can be really useful for a new HR Manager to have a document that sets the background of where the HR function has come from, what the current HR plan is, what’s already been achieved and what the long term vision is. It’s hard coming in and trying to figure this out and then you often put new HR strategies in place which recreate what was done before.